Here at Adelsheim, we’re fortunate to have a team of passionate, talented, and driven individuals. Get in touch, and drop us a line on our Contact Us form. Gina holds a Bachelor’s degree in Chemistry from Reed College and an AAS in Winemaking from Chemeketa. Before transitioning to a career in winemaking, she worked as a semiconductor engineer for seven years in both Oregon and Dublin, Ireland. Desiring a career that no longer involved cubicles, she returned to Oregon in early 2006 to establish roots in the wine industry. Kelli Gregory joined the Adelsheim team as Grower Relations and Viticulture Technician in June of 2012 and was promoted to Vineyard Manager. Kelli manages operations and personnel, oversees data collection, sampling, field scouting, yield estimation, and experimental design. She also establishes and maintains direct communications between Adelsheim Vineyard, our outside growers, and fruit purchasers. As Chief Operating Officer with over a decade of experience at Adelsheim, Kim oversees all day-to-day operations of the business, including marketing, production, finance, accounting and human resources. She also is responsible for the execution of Adelsheim’s long-term strategic vision in conjunction with the board and executive teams. 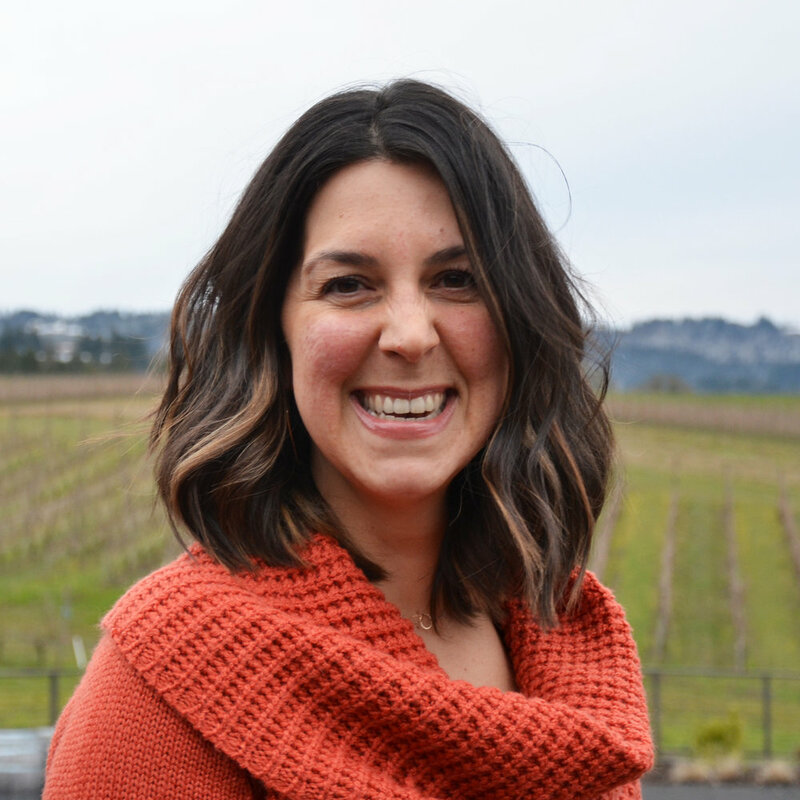 Kim sits on the executive committee for the board of directors of the Willamette Valley Wineries Association, as well as the board of directors for Oregon State University’s College of Agricultural Sciences ER Jackman Friends & Alumni. She has a Masters Degree in Business, Honors Bachelor’s of Science degrees in Biology and Animal Sciences, with minors in Chemistry and Veterinary Medicine. After 10 years away from the wine business where he sold a lot of coffee and a little bit of soda, Rich is back and ready to be the biggest champion of Adelsheim wine. He has spent his entire career in the beverage industry leading sales teams at Stumptown Coffee, Coffee Bean International, Jones Soda, Ste. Michelle Wine Estates, and Gallo. Briana’s relationship with the wine industry started from childhood. With restaurant owners for parents, she recounts countless hours running through kitchens and wandering through winery after winery. College at Southern Oregon University took her to a new growing region where Briana relished the opportunity to get to know more of Oregon’s bounty. Since obtaining a degree in Business Marketing, Briana has spent the last ten years navigating the world of selling wholesale wine to retailers, restaurants and bottle shops, most recently by leading the fine wine division for Young’s Marketing Company. David Adelsheim is the director of Adelsheim Vineyard, which he founded with Ginny Adelsheim in 1971. In the course of his company’s 46-year history, he has been the vineyard manager, winemaker, and the person in charge of sales, marketing, accounting, and fixing broken plumbing. His early winemaking experience included work at the experimental winery of the Lycée Viticole in Beaune, France, and at The Eyrie Vineyards in Oregon. Ginny Adelsheim co-founded Adelsheim Vineyard in 1971. She is the artist responsible for Adelsheim Vineyard’s acclaimed series of label drawings, and for the winery’s terra-cotta ornamentation. Ginny is the artist behind all their wine labels, each featuring a different strong woman who is important to the Adelsheim family. Jack and Lynn Loacker became co-owners with David and Ginny Adelsheim in 1994, and purchased full interest in the winery in 2017. Their long-time enthusiasm for wine and vision of producing wines of exceptional quality in Oregon led them to purchase two important Adelsheim estate vineyard sites: Ribbon Springs in the Ribbon Ridge AVA (125-acre site planted in 1995 with Pinot noir, Pinot gris, and Auxerrois) and Boulder Bluff in the Chehalem Mountains AVA (15-acre site planted in 2003 with Pinot noir and Chardonnay). Joth is a seasoned beverage executive returning to his passion of wine. Before joining the team at Adelsheim, Joth was the President at Stumptown Coffee Roasters. He has been a Managing Partner with First Beverage Group, the President and CEO for Jones Soda Co., and the General Manager for Columbia Distributing. He sits on the board of Ninkasi Brewing Company and Brew Dr. Kombucha. He is also an Advisor to Greater Portland Inc’s 2020 vision.